That’s our bright yellow Convent & Chapel marquee over there! 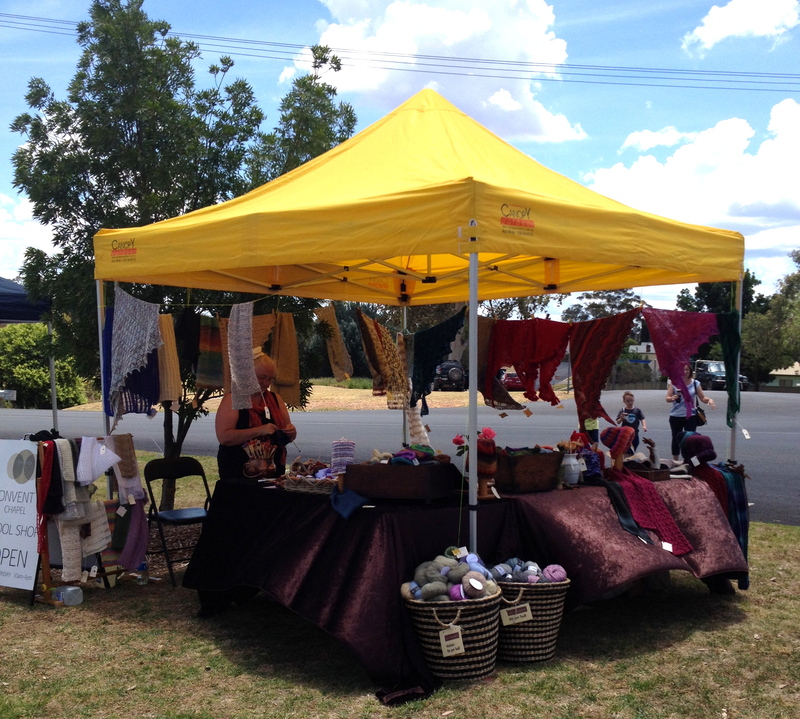 This is the first time we’ve done the Markets at Kandos. 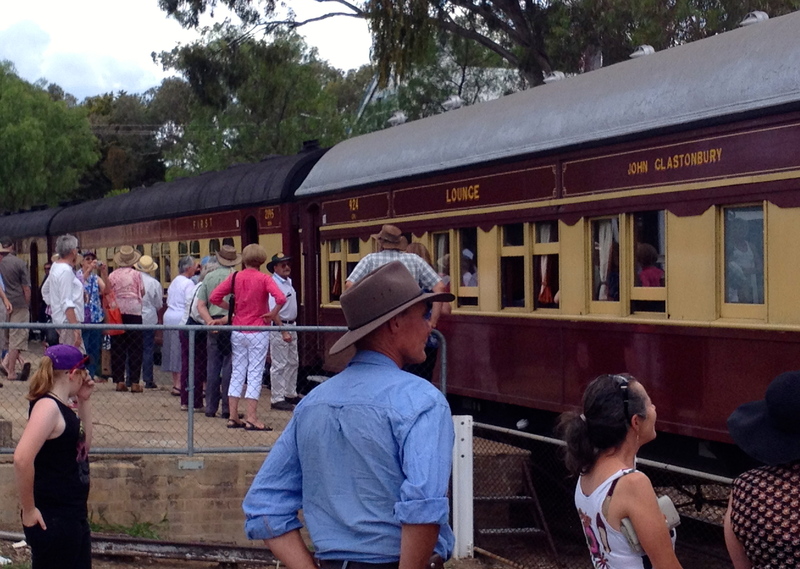 On Sunday the Heritage Train arrived from Sydney and the town turned on a great display. As the train rolled in, it seemed like the whole town (plus some) were there to cheer on and welcome the travellers. W’re very happy with our marquee and thinks it looks the part at the markets. Once they had left the train they headed for their luncheon venues with the choices of visiting the market stalls at the Railway Green or boarding a local bus for a tour of the town and stop off at the Kandos Museum which was holding a special railway exhibition in honour of the train’s annual visit. It is years since public trains have regularly run to Kandos, so this special tourist train means a great deal to the town. 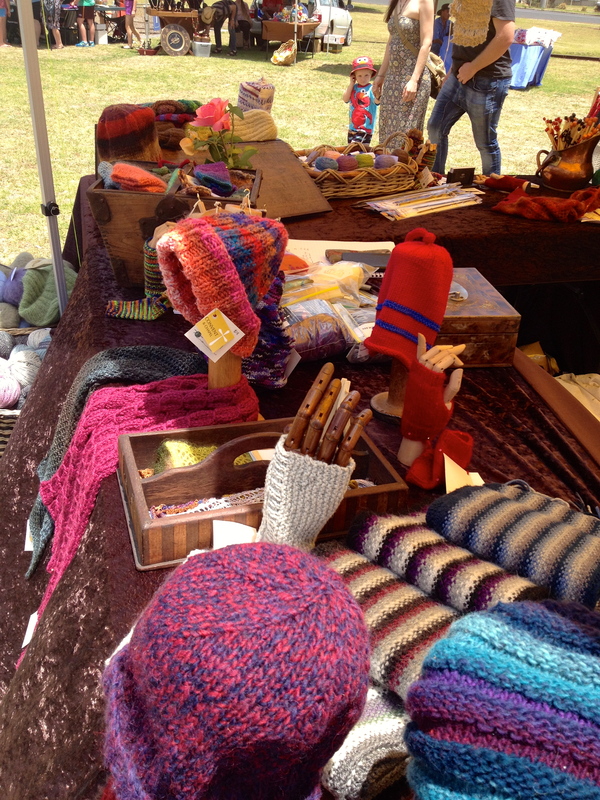 Our wares on display. There’s non stop knitting to keep up the supply. We had a great time at our bright yellow marquee, chatting to other stall holders, locals and the train-trippers. It was a good opportunity to promote our new shop and show off a few of our wares. Whilst rains threatened (which are much wanted), they have still held off and it ended up being A Great Day Out for all. Now a bit tired and grubby, but happy with our day.